OVER the past few weeks Killarney has been overpowered by hordes of unwelcome and destructive visitors and locals are beginning to wonder how long it's going to last. 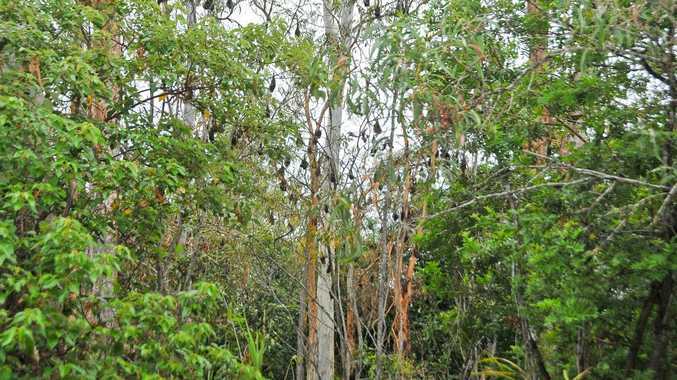 Thousands of bats have been moving across town and have taken to roosting in the trees that line the Condamine River. Killarney local John Towells said the bats have been in the area for a while and the locals are pretty keen to see the back of them. "They've been moving down the creek because there are so many of them that sheer weight of numbers is destroying the trees they're trying to roost in," he said. "So they keep moving and the poor river oaks are absolutely copping it, they're just not strong enough to bear the weight. "There are broken branches, trees are stripped, there is debris everywhere and one local even commented that it in some parts it looks worse than when the tornado went through in 1968. "They have also taken up residence near the school, which is a worry." A Department of Education and Training spokesman said Killarney State School was working with Southern Downs Regional Council and the Department of Environment and Heritage Protection to address flying fox colonies. "The school takes this issue very seriously as the health and safety of students and staff is paramount. "Some areas within the school grounds have been isolated to students following flying fox activity and any concerns should be directed to the principal." 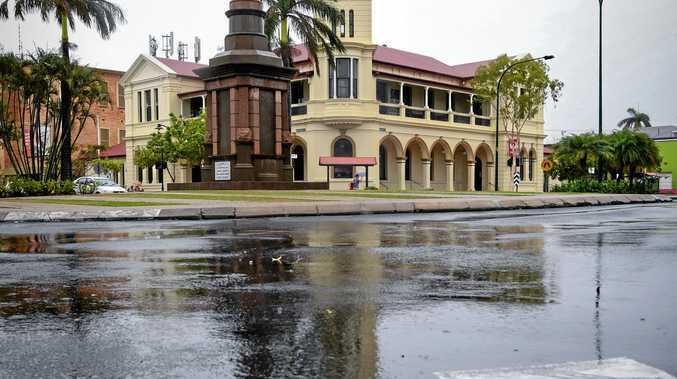 Deputy Mayor Ross Bartley said the council was monitoring the situation. "There have been reports over the past few days that the colony has lessened significantly in number so this might be a sign that they are moving on," he said. "They usually migrate away from the cooler weather so hopefully that's what's occurring. "We had a similar problem in Warwick and worked to identify which trees the bats were roosting in and determine whether those trees needed to be there. "That was the best method of control and it has worked well, but hopefully it won't come to that." Cr Bartley was in Killarney last week to see the bats first-hand and warned locals to take care. "We have to be mindful that there are health concerns, both to the human and livestock populations," Cr Bartley said. "The bats are flying directly over the town so drinking tank water wouldn't be a good idea at this point in time. "If you are able to clean your roof I'd recommend that and perhaps before the next rainfall detach your downpipes so they can get a good flush out as well. An SDRC media statement released yesterday also confirmed the closing of the Killarney Pool. It was due to close on March 24 for the change of seasons but has closed earlier due to the proximity of the colony. The council urged residents, particularly school children, not to handle sick, injured or orphaned bats. If you find a sick, injured or orphaned flying fox or bat, do not touch it. Contact the RSPCA (1300ANIMAL or 1300264625) or your local wildlife care group/rescuer/carer or the Department of Environment and Heritage Protection (1300130372) for assistance.